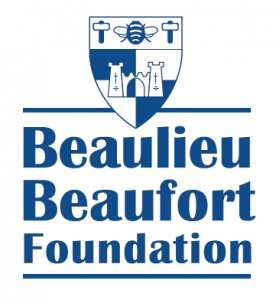 Since the spring of 2014, I am honoured to be a beneficiary of the Beaulieu Beaufort Foundation, a charity foundation that provides local support for aspiring individuals and grass-roots community projects. The Beaulieu Beaufort Foundation is a primary sponsor of my campaign, and their support has enabled me, among other things, to purchase a well-needed new Laser. I am very proud to be an honorary member of LTSC. The club helped me hugely back in 2011 by helping me to buy flights out to the 2011 ISAF World Championships in Perth, Australia. I was honoured to receive the Marlow Ropes Award in January 2012, and Marlow provided me with great quality ropes throughout the season. I haven’t looked back since! Thanks to Gonville & Caius College, Cambridge, for their support throughout my degree. I was honoured to receive the Bell Wade Award for Academic and Sporting Excellence in both 2012 and 2013. The financial assistance was very important in helping me to attend the summer events in my program. The support of Hampshire County Council and Sport Hampshire & Isle of Wight through the Free Access for National Sports People scheme enables me to train in the gym for free whilst home in Lymington. Thanks to BHG Marine for the free RIB services, to ensure I can always get a coach out on the water in a boat that is in tip top condition.